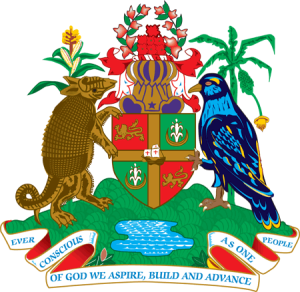 The Ministry of Finance announces the appointment of Dr. Raphael C. Stephen as Acting Comptroller of the Inland Revenue Division (IRD) effective 19 June 2013. Dr Stephen succeeds Ms Pauline Peters who has proceeded on two years leave of absence to take up an assignment at the Ministry of Finance in the Bahamas. The Ministry wishes Ms. Peters all the best in her new undertaking which involves assisting the Government of the Bahamas in their implementation of the Value Added Tax (VAT). Dr Stephen is qualified in Public Finance, as a Fiscal Scientist, and has been in the Government service for thirty-one (31) years. Since 1991 he was appointed as the Chief Valuation Officer/ Head of the Valuation Division of the IRD, a position which he held until his recent appointment to act as Comptroller of the IRD. Dr Stephen recently returned from a two-year ‘tour of duty’ financed by the World Bank, in East Africa, where he advised the Government of Uganda on public property and property reform strategies. The Ministry of Finance takes this opportunity to extend best wishes to Dr. Stephen in his new role.